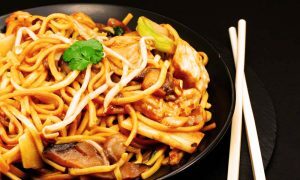 ‘You know the Mo: Mo you ate was made of dog’s meat’, ‘you know noodles stick to your intestine’, and so on…When it comes to Chinese food items, we come across many myths. It is always believed that a thing which will become popular would always be surrounded by myths. There is always a small gap between myth and reality and it is necessary to know the difference. 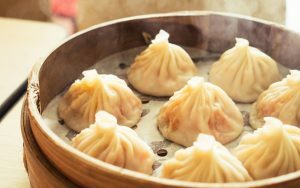 Whether it is the soya sauce coated Manchurian or the hot steamed dumplings or the sticky noodles; these all food items rejuvenate our taste buds the moment our tongue gets their first tang. China being one of the fastest developed nations in the world has its unique image globally. Whether it’s the culture, tradition or food; the nation has definitely provided something unique and praiseworthy to the world. And, Chinese food items tops in the list what the nation gifted to the world. Chinese food remembers us about the authenticity of taste. The food items are easy to cook and hence derived the category fast food. But, it is not like that every food item which is found in china comes to the category of fast food only. Alike this, there are several other myths which are spread about the world famous Chinese cuisine. In this blog, I am going to dispel the most common myths about Chinese food. I hope this will increase your food knowledge a bit more. Reality: Okay let’s start with the first myth. Every time you visit a Chinese restaurant definitely some of your friends would tell you this thing. This is a very common myth spread about Chinese food items. People think they serve dogs and cats in the menu. If you go into a decent Chinese restaurant, you won’t find anything like this. Yes, there is a culture of eating animals in China, but you won’t find them openly selling animal meat openly. In fact, there are many decent vegetarian Chinese restaurants, you can try them. Reality Another common myth is that, your tummy would get eventually full but after some time you will feel hungry when you have Chinese food. The roots of this myth lie in the Chinese history. In the earlier times, Chinese used to have smaller portion of food and the little amount of food was definitely not good enough supplier of nutrients and proteins. The lack of nutrition and small portion size could make your belly yearn for more soon after finishing the meal. But, the Chinese food which is cooked now is totally different. They are now protein and mineral rich hence will not make your tummy yearn. Reality: You might feel as though you’ve run a marathon after taking a bite of a spicy dish and you feel your heart pounding and sweat pouring off your face; is it? 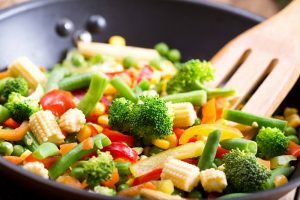 Well, there are many people who believe that Chinese food items being spicy and full of pepper and paprika would help you to shed some extra fat. Yes, it is true to some extend that spicy food items increase the metabolism but the increase is so small that it won’t last for long. So, dude proper diet and exercise is the only way out to lose weight and not the spicy Chinese food. Chinese people are slim because with their spicy food items they do a lot of hard-work too. Reality: So what do you think when you see the label of soy sauce? People think that it is soy sauce then it must contain soy but it is wrong. Soy sauce in the little plastic packets usually does not contain any soy, but a mix of syrup and food coloring. But still if you are looking for original soy sauce then go with the one which is made and manufactured in China or Japan. Reality: If you will go through Chinese cook-books or see their cookery show then you must find that it is loaded with broccoli. Well, with this people start to think that it is a staple of Chinese food item and people there eat a lot of broccoli. This is a myth. The most interesting thing is that, broccoli is not a vegetable traditionally used in China. Broccoli is by no means considered a typical everyday food in China; it’s just as exotic there as kai-lan would be on a dinner plate in good old England. Reality: You must have heard about Chinese fortune cookie. But, do you know that fortune cookie has absolutely nothing to do with china. In fact, this snack is a gift of America which the country discovered after the First World War. The cookies were introduced by Japanese immigrants who made them in their bakeries. So, are you amazed with the myths and reality about Chinese food? I hope you might have liked my blog. Stay connected for more such interesting posts. And yes, if this article has boosted up your desire for Chinese food then visit The Chopstick Buddies near you. It is India’s fastest growing Chinese food restaurant chain, which is committed to provide authentic Chinese cuisine. At The Chopstick Buddies you will find a plethora of authentic Chinese food items. The real taste of Chinese cuisine would make you drool for sure.